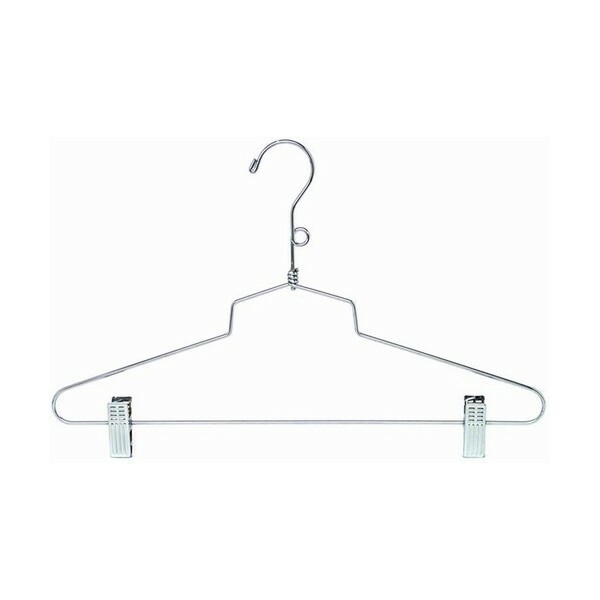 Hangers and Hangers - Metal Combination Hanger w/ Clips - 16"
Home » Metal Combination Hanger w/ Clips - 16"
The metal combination hangers are great for coordinating ensembles or suits when traveling. The non-slip clips keep trousers and skirts from slipping. 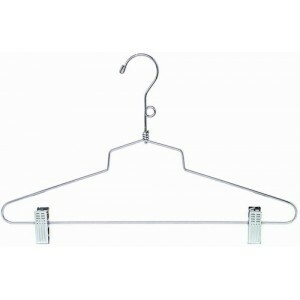 Used in tandem, these hangers are able to be fastened together with our metal diaper pin rod for garment bag storage. The sleek modern look carries its own appeal.